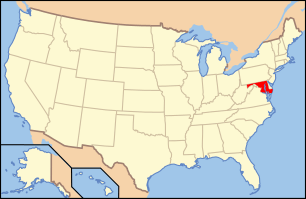 Hoye Site or Hoye Prehistoric Indian Village site, is an archaeological site near Oakland in Garrett County, Maryland. It is located on the east bank of Youghiogheny River and occupied from about 1000-1500. It is the southernmost late prehistoric village known in the Youghiogheny drainage area and is the only known Late Woodland occupation in Garrett County. 1 2 National Park Service (2008-04-15). "National Register Information System". National Register of Historic Places. National Park Service. ↑ "Hoye Site". Maryland Historical Trust. Retrieved 2008-10-29.